Food supplement with oregano, essential oils and calcium . 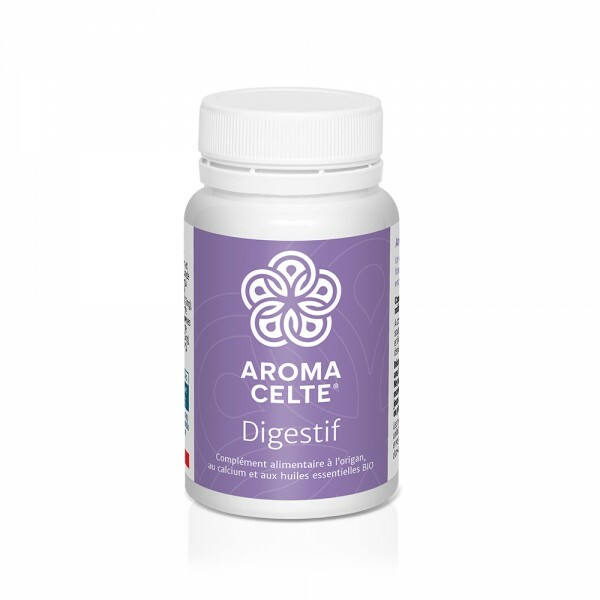 Relieve sensitive bowels with Confort Digestif, whose calcium content (provided by the lithothamnion) contributes to the normal function of digestive enzymes. Lithothamnion (937.5mg) containing 217.8mg of calcium (i.e. 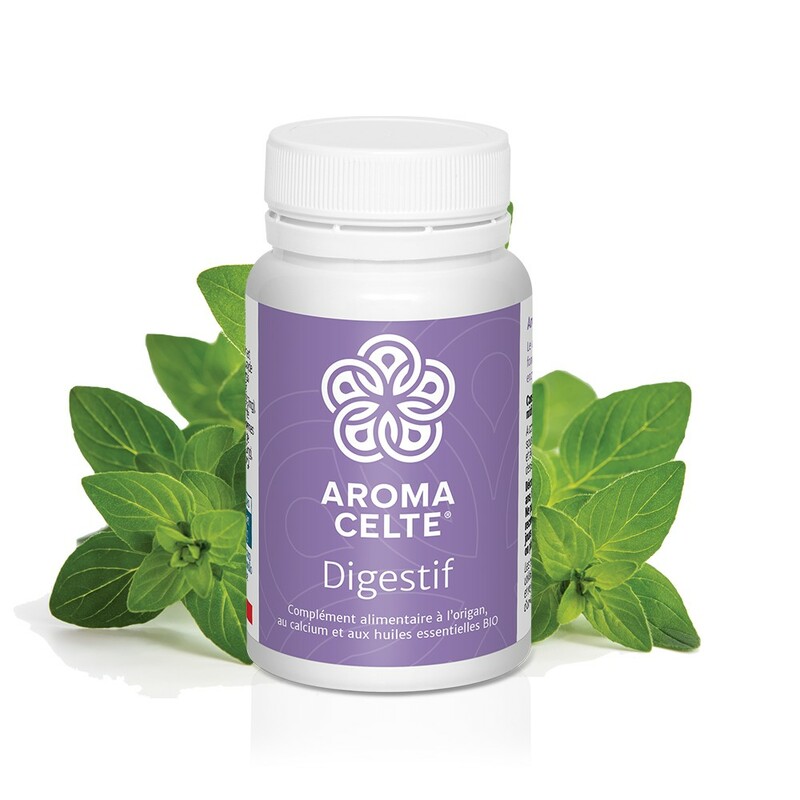 33.9% of the DRV), capsule shell of marine origin: fish gelatine, oregano leaf extract (Origanum vulgare) (maltodextrin) (105mg), anticaking agent: silicon dioxide, oregano essential oil extracted from the flowering tops of the plant (carvacrol chemotype), thymol (Origanum compactum) (33mg), basil essential oil extracted from the flowering tops of the plant (Ocimum basilicum) (24.7mg), lavender flower essential oil (Lavandula vera) (24.7mg), cinnamon bark essential oil (Cinnamomum verum) (24.7mg), clove essential oil (eugenol chemotype) (Eugenia caryophyllus) (24.7mg), winter savory essential oil extracted from above-ground parts of the plant (carvacrol chemotype) (Satureja montana) (16.5mg), rosemary verbenone essential oil extracted from the flowering tops of the plant (Rosmarinus officinalis) (8.2mg), peppermint essential oil extracted from the tops of the plant (Mentha piperita) (8.2mg).